Both Doug and I consider Shadowstats absurd, but we include it because many follow the number. For a recent critique of the measure please see Deconstructing and Debunking Shadowstats. 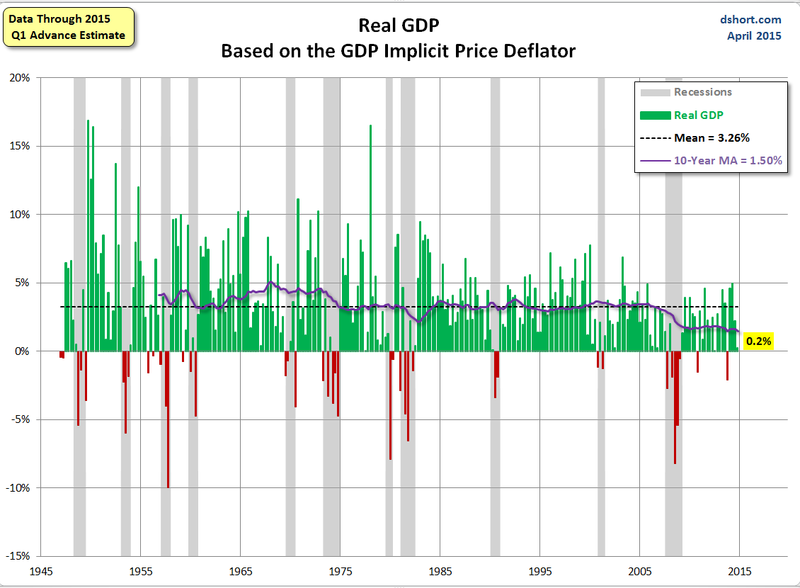 Defending on your price deflator, GDP was between -1.2% and +3.3%. 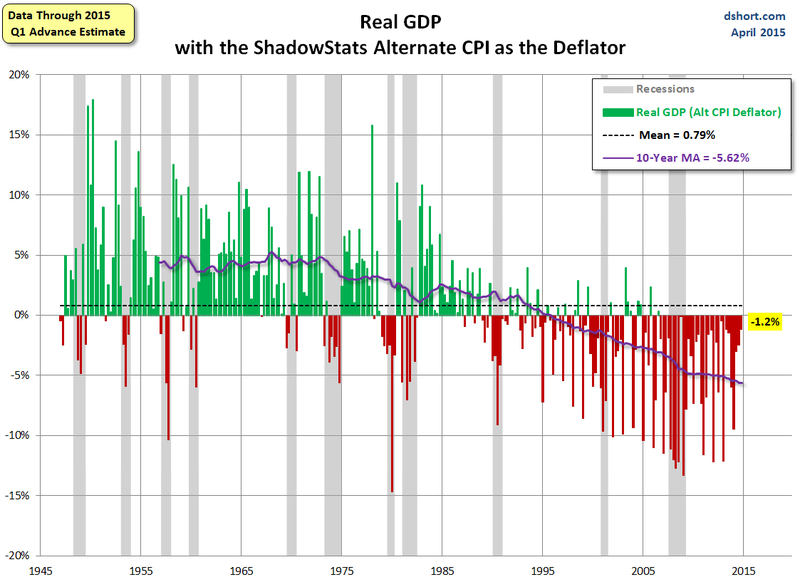 If you toss out Shadowstats, then the range is 0.2% to 3.3%. That's still a damn wide range. People accuse the BEA all the time of manipulating the deflator to make things look good, but if they easily could have done that this month for far better results. 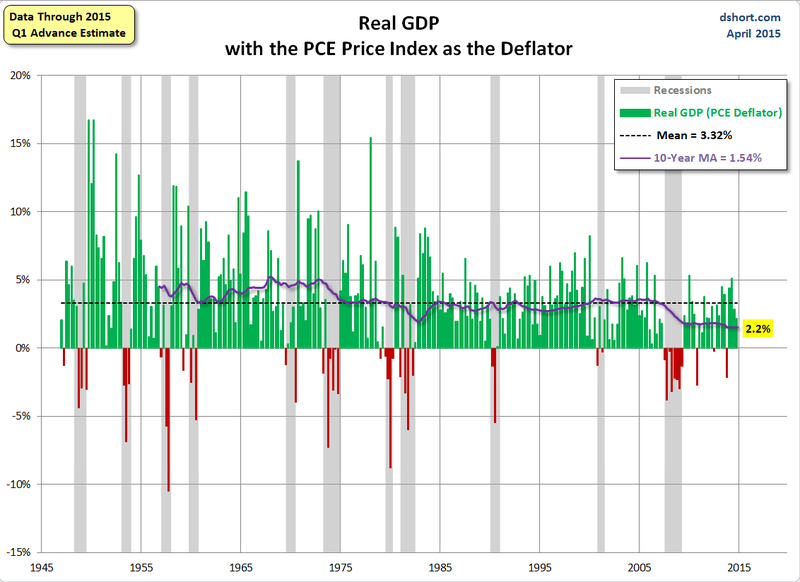 Over time, GDP is highest with the PCE and GDP implicit deflators. At least the BEA is consistent. 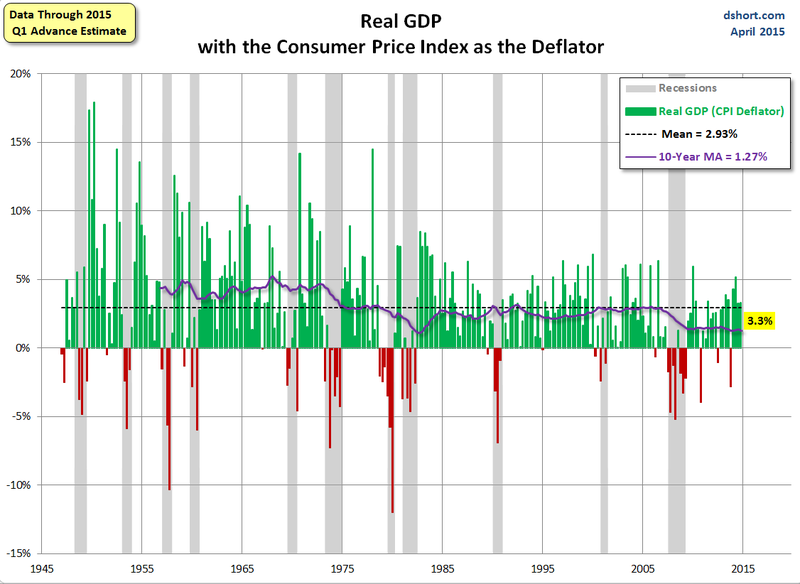 Next quarter, because of rising energy prices, deflating GDP by the CPI will likely yield worse results than the GDP deflator. 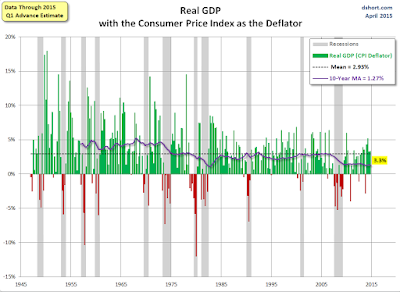 Some people will criticize the BEA because of it, while remaining silent about this quarter. 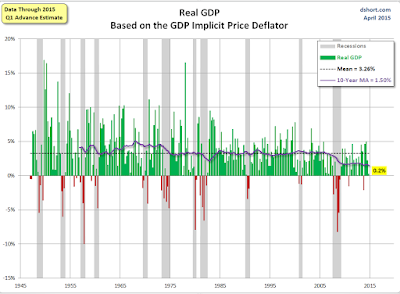 As it stands, rising energy prices and the strong dollar will place downward pressure on second quarter GDP no matter which deflator one uses.